His Holiness the 17th Gyalwang Karmapa Ogyen Trinley Dorje is very active and concerned about the protection of the environment. His influence and recommendations affect thousands of people around the world. These are already creating a more environmentally conscious atmosphere and outlook throughout Kagyu monasteries and practitioners in Tibet, India and in many countries. His Holiness the Karmapa’s, clarity, honesty and environmental awareness have touched us at Active Remedy. He continues to be a source of inspiration for us. It is for this reason that we have on many occasions spoken with His Holiness about the efforts, goals and achievements of Active Remedy. He has been positive, encouraging and has expressed his approval for the work that we are doing along with his blessings for success. In 2007 he requested that we create an exhibition for the Kagyu Monam. The Kagyu Monlam is a large prayer festival held in Bodhgaya, the enlightenment place of the Buddha in India. The main focus of this festival is world peace and preserving the environment. We did create and display this exhibition and found it to be a very worthwhile experience. We were able to communicate with many different people from across the Himalayan regions and also to listen to His Holiness speak more deeply on the subject of environmental conservation. 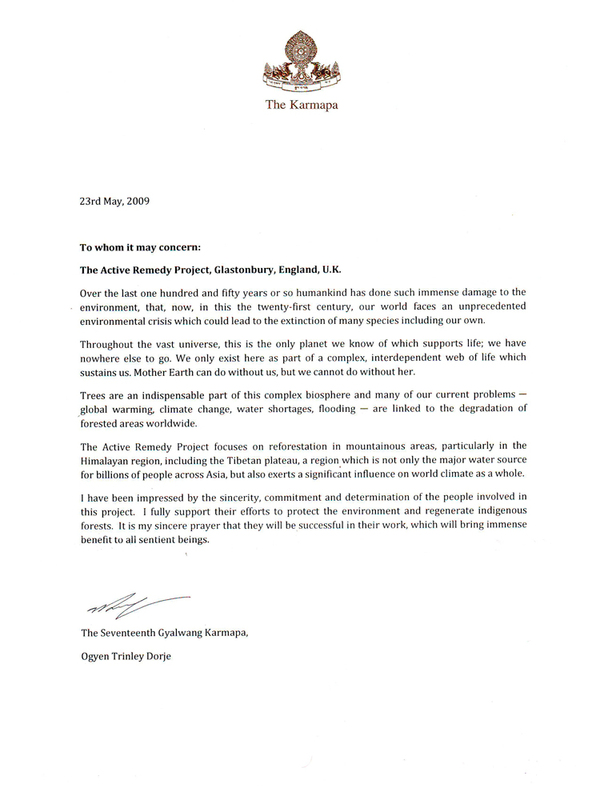 In 2009, in Dharamshalla, N.India, His Holiness the Karmapa gave Active Remedy his blessings and a letter of support for the Active Remedy project. We are very happy and honoured to have the continued encouragement and support of His Holiness the Karmapa. 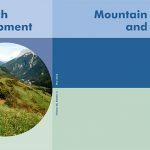 We hope that this support will encourage monasteries and individuals within the Kagyu lineage to look more seriously at the global importance of mountain ecosystems and freshwater. We also hope that they will therefore join together with us in addressing the global situation of degraded mountain ecosystems and a seriously threatened global water cycle, while there is still yet a chance to remedy the situation.